It is getting increasingly more difficult to turn up anything new from the bottlos between King Street and and Circular Quay. Mr Liquor seems to have taken a break from beach-combing, the Wynyard Tunnel bottlo’s most out there beer is Coopers Extra Stout and the Paragon has even less variety. So lately on the Back of the Ferry, we’ve been resorting to beer with trivia questions under the bottle top to keep our minds active, if not our palates. Occasionally the CBD Cellars next to the Menzies Hotel and opposite the Wynyard bus stop would turn up a unique bevvy, like Hofbrau Oktoberfest or Lindeman Kriek and my heart fell when they were recently taken over by Vintage Cellars. I pulled in the other day with low expectations. Maybe they’ll have a German or Dutch macro that we haven’t tried yet. Well, Vintage Cellars pulled a complete surprise by having a shelf full of a range of Japanese beers that I’d neither heard of or seen before. 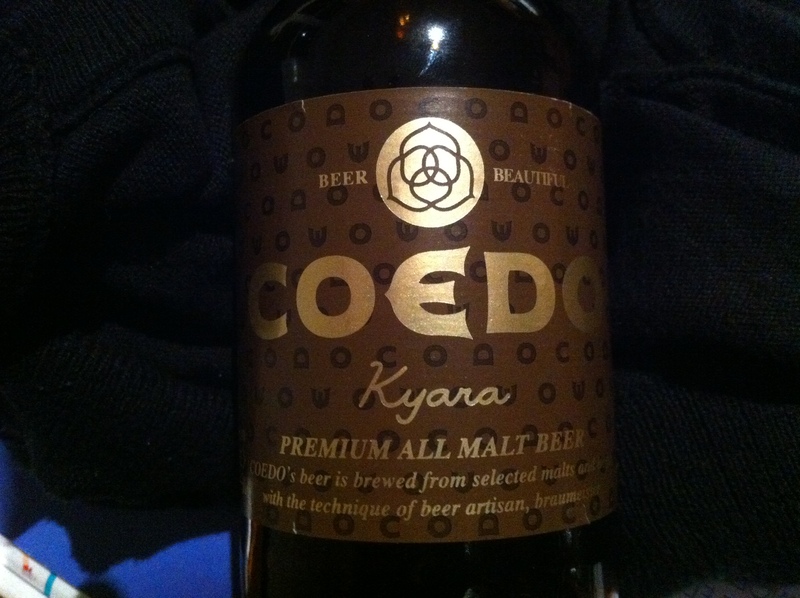 Coedo is a brewery from the not insubstantial city of Kawagoe, Japan. The nickname for Kawagoe is Little Edo – or in Japanese Ko-Edo – which is then anglicised to COEDO. Edo is apparently an old name for Tokyo. The packaging is very stylish and has a quite beautiful logo of a hop flowers (a definite t-shirt candidate). The label hyperbole is pretty standard except that right at the end it drops into what could be classified and Japlish “rich cool flavours concealed behind the modest foams”. Quite poetic, but does foam mean head or fizziness. The beer deserves a glass pour before a final verdict can be given. There’s 5 varieties, which BotF will work through if Vintage Cellars keeps the stock up. This variety “Kyara” is named after a particularly fragrant Japanese tree, which the brewer thinks is reflective of the use of aromatic hops. The beer packs a nasal punch, but I’d like to drink and smell it from a large mouthed glass. 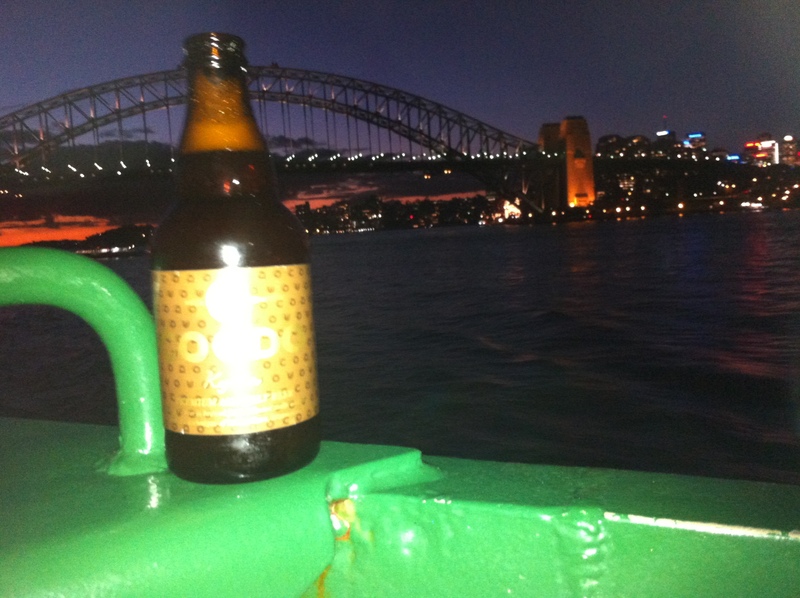 A new beer tried on the Back of the Ferry deserves the full Back of the Ferry beerporn treatment. 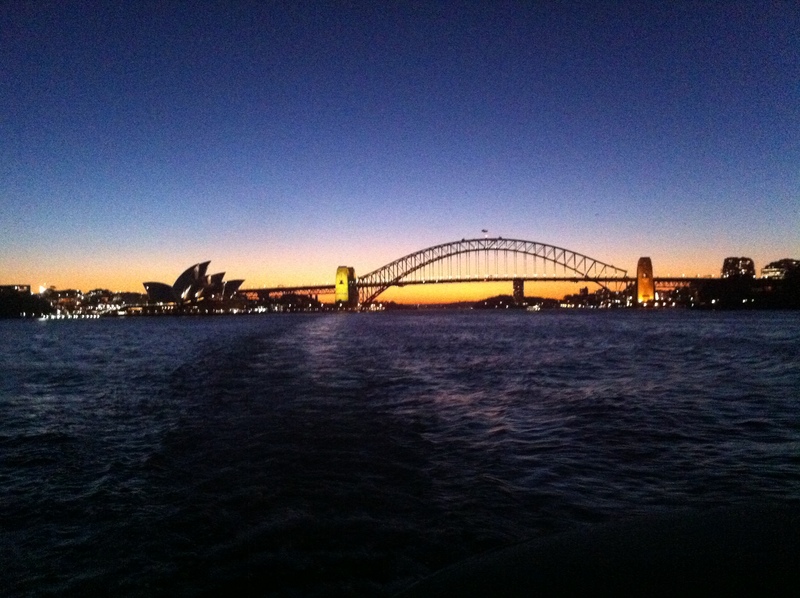 That means a photo of the stubbie in front of the Harbour Bridge or the Sydney Opera House. We really should mix it up a little, but once the ferry passes Fort Denison the conversation has hit top gear and photographing beer, checking in on Untappd or twittering becomes secondary. The photo of the Codeo wasn’t one of our finest and won’t be submitted to Beertography, but the sentiment was there. Bring on Spring and daylight saving. 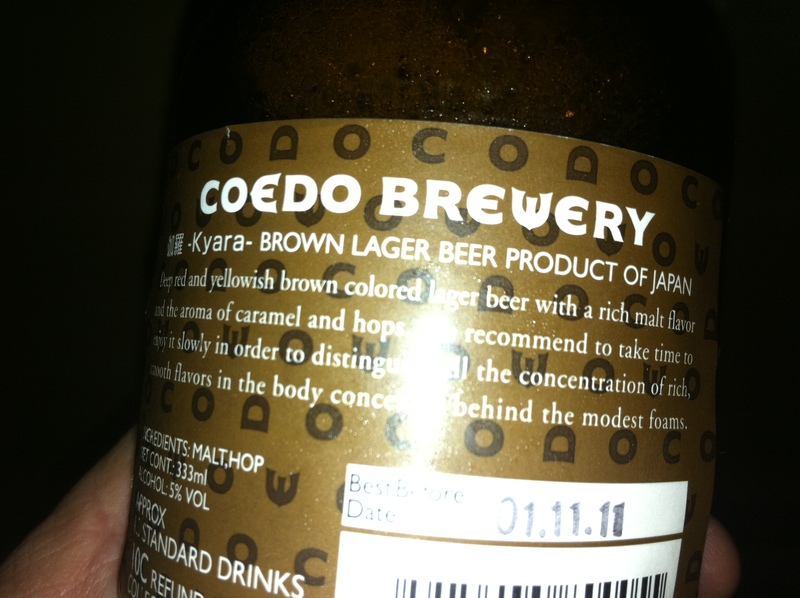 I found this great beer in Melbourne at the “First Choice” after being disappointed that Dan Murphy’s did NOT stock it.